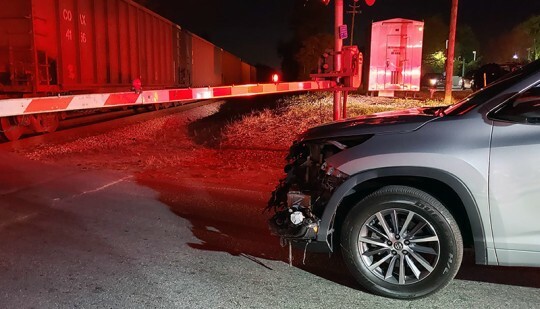 A Cantonment man’s vehicle was struck by a train Friday night on Kingsfield Road. 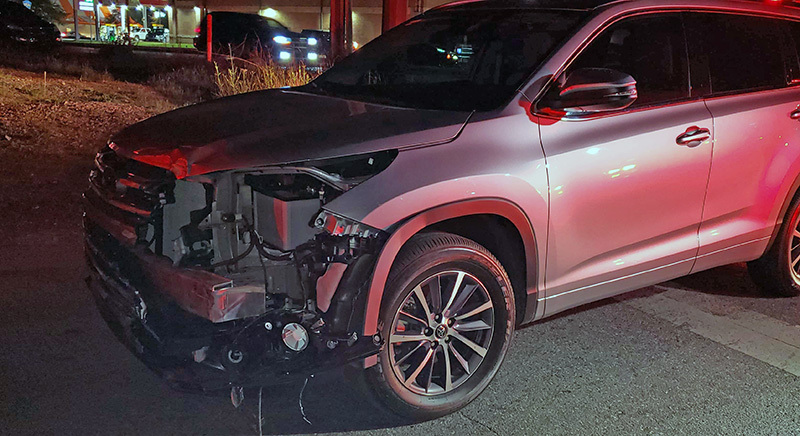 About 7:30 p.m., 66-year old Hugh Fones was traveling north on Highway 95A when he turned his Toyota Highlander east on Kingsfield Road at the railroad crossing as a northbound CSX approached. The railroad crossing arms were coming down at the time, and the crossing bar came down on the top of the roof of his vehicle as he came to a stop, according to the Florida Highway Patrol. The conductor and engineer were unable to slow the train, and the left side of the train collided with the front of the Highlander. The train continued north and came to a controlled stop about one mile north of the collision. Fones was cited by the FHP for driving around, under or through a railroad crossing. 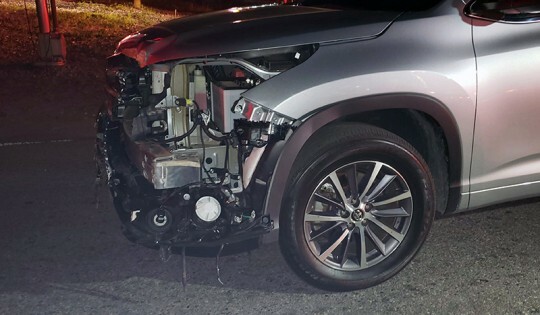 You are “AT FAULT” Enjoy your moving citation, hassles of getting your auto fixed and the jolly’s involved w/ increased insurance rates…. Make better decisions next time as a responsible driver. The decision is yours. It could be your life or the lives of others next time. let these folks interrupt a train schedule, or crash into a train in Japan. VERY expensive to perpetrator!!! Because the train did hit the SUV. 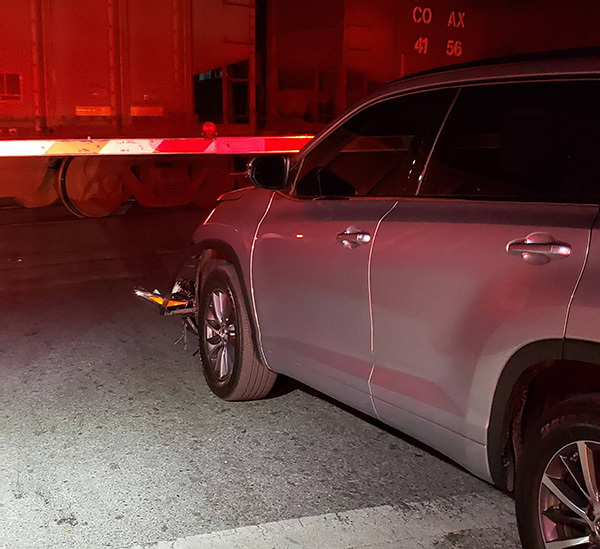 The vehicle was stopped too close to the tracks, the train was in motion. The moving train struck the non-moving SUV. The SUV did not drive into the train. 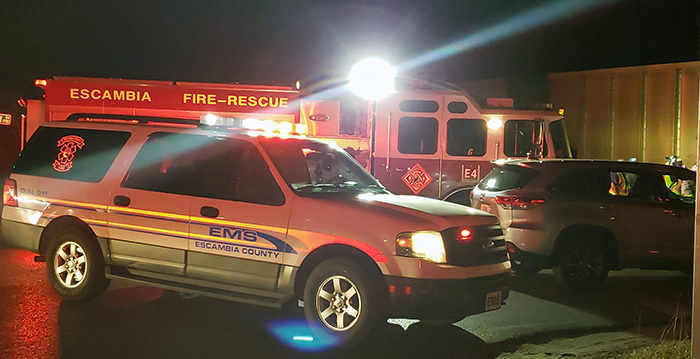 The news reports always report train accidents as “the train struck a car”, as if the train got off the tracks and chased the car down The train engineer was doing what he was supposed to do, and was struck by a car. .
H. Fones is at fault. There is no obstruction blocking his view of the train coming. The red lights flashing is an indicator that the train is approaching the crossing. The crossing arms will fall on your vehicle. On Burgess Road, the arms at that crossing are in sync with the lights flashing and the train is several hundred feet away. 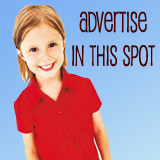 Unless your deaf, you will hear the train whistle and see the lights flashing. Good enough to avoid a train crash. Some crossings don’t have arms. I do not mess with the three T:s ( trucks, trains Trees).People just get in too much of a hurry. We noticed the other day that the train was almost at the crossing when the arms came down on 9 mile Rd.. It seems to me they should have come down before they did. The red lights were flashing before that, which is enough for me to stop. Some people think they can beat the train if the arms aren’t down al the way.